So this is actually not very difficult code, but it is very powerful. You could specify different sets of conditions, fields, orders, groups by's and containments just by adding a new entry to the switch statement. Please note that there is no break needed within the switch as we return home. ... well you get the idea. By the way, do you notice how useful using a static functions like this User::get() methods are for fetching properties and data from the currently logged in user? More on that later. Anybody willing to share some dough on this one? Model::save() now returns an array! Nice approach, I can see me using this. I find this adds too much power to your find() function and needlessly complicates it. If we imagine a scenario where I'm looking at the documentation for this model, I need to know that specific arguments will trigger functionality that is inconsistent with the find() methods of every other model. Why not simply have a findPending() function? It make your life simpler because it removed the unnecessary logic from find() into a specific function and the purpose of the function is *immediately* obvious. Nice one! I also like to implement this on one of my projects! Dardo Sordi: Argh, wasn't aware of these. Well, it's IMO a good technique, so why not spread the word some more. Peter Goodman: Your approach works as well. However, with the approach from the article you can remove a lot of extra functions. I agree however, that this can add quite some overhead if they need additional logic / complexity. I've used this for find('sql') when I want to get the SQL query returned, rather than the have the query executed and the result returned. I've written a Bakery article, which is waiting approval. I agree with Peter that I wouldn't use it for individual cases - only where the functionality is appropriate for all models. @Old Cake User and fellow conservatives: Static function signatures have been around for a good part of the last century. Yes, I will miss them too. But no, just because there are currently more tools and assumptions based on the old way of thinking that doesn't mean new approaches should not be used. And this isn't even a CakePHP thing. 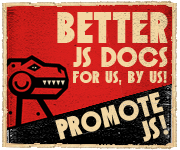 Take a look over to jQuery land. They have taken the exact same approach for jQuery UI, where one method per plugin / widget delegates all calls. In the long run this keeps the API clean, removes the need of explaining PHP's overload() concept for simple tasks and is just much more flexible. Hi, interesting post.. I am still a beginner at this, can anyone enlighten me what does an am() does? am() is a cake shorty for array_merge(). PHP 4 Hater: If this becomes your performance bottleneck in any reasonably complex application I would like to congratulate you ; ). Seriously, this is not going to become performance relevant in any scenario I can think of. Could you please explain this part in a few words until "more on that later" comes? Stepan Stolyarov: In the Auth system that we use and made, all your User relevant data can be fetched with User::get('id'), User::get('name'), User::get('Profile.id'), etc. By that you ensure you don't have to use all this set('logged_in_user', $user) stuff in your app controller and just call these functions right of your views, too. And not only that, you can call it from anywhere. You don't need to pass around your user id or anything fancy. will cake's find / relationships not handle belongsTo more than 2 levels deep, in one single query? If Model1 hasMany Model2 and Model2 hasMany Model3, and the associated belongsTo relations are in place, why can't we just do Model3->find('all') and it "back into" all three models with a single query? customizing find methods is now much more fun, clean..."
I love how you overwrite the find() class, however there is an issue when you try to use this methodology with paginate().